This image shows the dendritic locations of a subset of spines. Each spine is colored to indicate the group label from k-means clustering; the group label from k-means clustering is also indicated next to each spine. The synaptic clusters convey functionally distinct spatial receptive field properties. 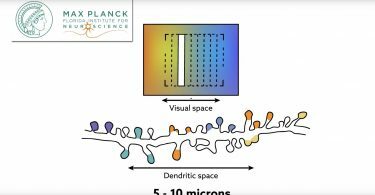 Researchers at the Max Planck Florida Institute for Neuroscience discovered local order of dendritic spine functional properties within global disorder, a key underlying feature of the synaptic architecture of visual space. Neurons are the basic information processing structures in the brain and are composed of three main parts: dendrites, axons, and the soma. Dendrites receive and integrate synaptic inputs that are subsequently processed in the soma and relayed to other neurons via axons. A longstanding question has been to understand how synaptic inputs are arranged on the elaborate dendritic structures of individual neurons in order to better comprehend how dendrites process and transform inputs, ultimately influencing how we perceive the world around us. 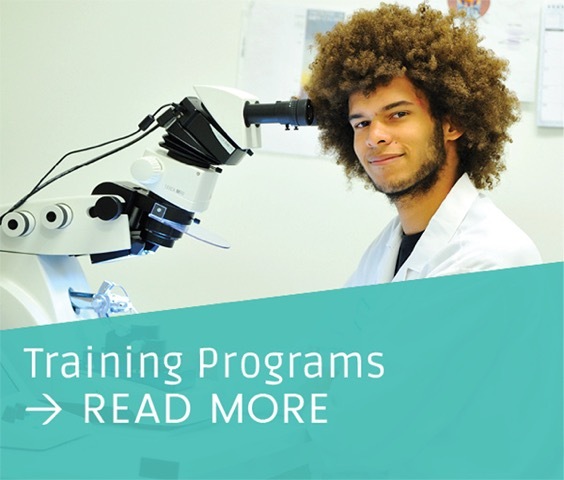 Recent discoveries in the laboratory of David Fitzpatrick, Ph.D., Scientific Director and CEO at the Max Planck Florida Institute for Neuroscience (MPFI), have shed more light on this issue and the universal properties of cortical neurons. Benjamin Scholl, Ph.D., and Dan Wilson, researchers in the Fitzpatrick lab, have been studying the spatial arrangement of synaptic inputs onto dendrites and how this arrangement impacts computations in visual cortex. Previous work by Wilson et al. (2015) revealed that orientation selectivity and functional clustering of synaptic inputs in visual cortical neurons correlates with localized dendritic events, sharpening somatic tuning. 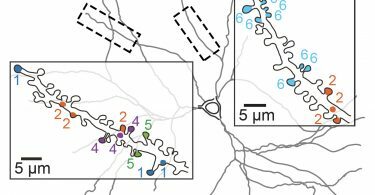 In their recent paper, published in Neuron on November 2nd, Scholl and Wilson examined whether this clustering exists at a finer scale and across the diversity of functional inputs cortical cells receive. 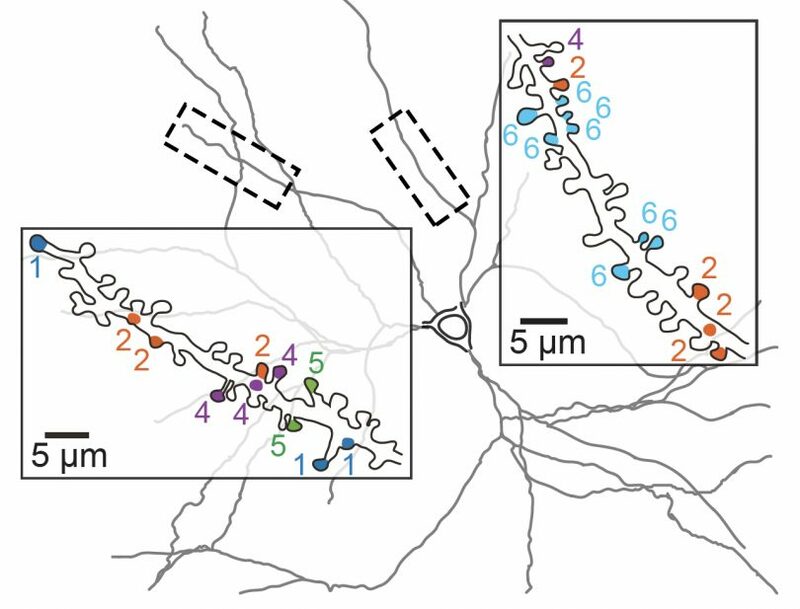 To investigate fine-scale synaptic clustering, the researchers presented simple visual stimuli to activate individual excitatory inputs onto individual dendritic spines, small mushroom-shaped protrusions on the dendritic arbors. These visual stimuli allowed the authors to map spatial receptive fields – regions in visual space where stimuli elicit responses from particular neurons or synaptic inputs – and polarity – the preference for luminance increments (ON) or decrements (OFF). Large numbers of spines on individual layer 2/3 neurons were mapped and visualized using in vivo two-photon imaging of a genetically encoded calcium indicator, providing a measure of subcellular and cellular activity. They also revealed, via machine learning, that fine-scale functional synaptic clusters exist within the broader population of spines, and these clusters appear to be selective for features both resembling and distinct from the somatic output. Clustered inputs could amplify such functional features, but the role of synaptic clustering in shaping somatic response is more complex. These distributed functional clusters could enhance the computational power of neurons by allowing greater flexibility of responses to a wide range of sensory inputs, increasing dendritic sensitivity without sacrificing dynamic range, and facilitating nonlinear interactions within individual dendrites. Moving forward, the lab is interested in exploring the development and maturation of spines and synaptic clusters. Ongoing work involves chronic imaging of the structure and function of individual spines during development and changes to visual experience to determine whether emerging spines adopt the same functional properties of their more adjacent, stable predecessors. Such research could provide greater insight into the role of synaptic clustering during development and plasticity mechanisms throughout an individual’s lifespan. This work was supported by National Eye Institute (NEI) and Max Planck Florida Institute for Neuroscience. The content of this article is solely the responsibility of the authors and does not necessarily represent the official views of the funding agencies.